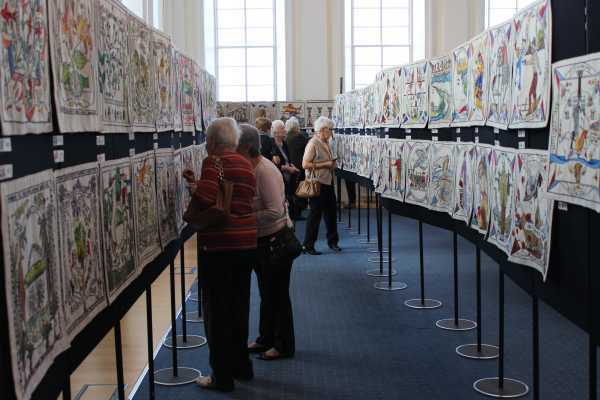 Irvine Tapestry Exhibition draws the crowds! It's open and it's busy!! 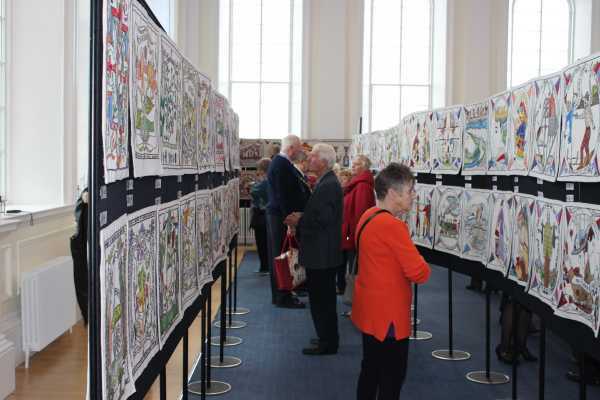 The Scottish Diaspora Tapestry had its launch on Thursday morning hosted by Provost Ian Clarkson who, like everyone else there, was astounded by the beautiful tapestries on display and the wonderful stories they are telling. 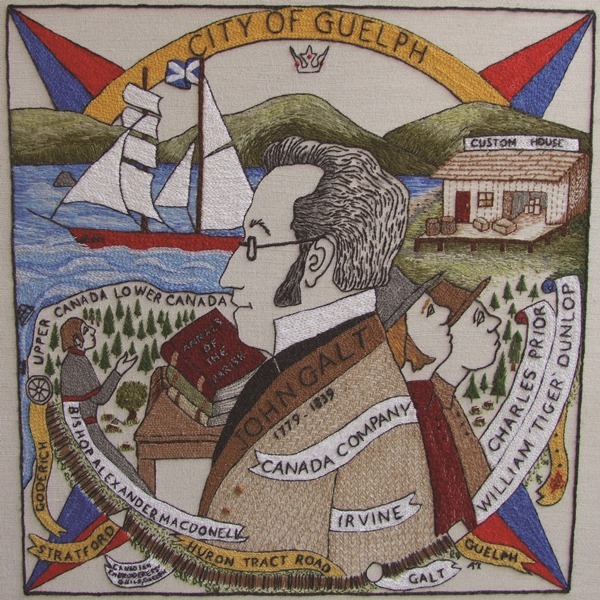 We had two ladies visit whose sister, Alison Jackson lives in Cambridge, Ontario, and who worked on the panel about John Galt, founder of the City of Guelph! Lorna Kerwin and Ann Glen came to admire their sister's handiwork. 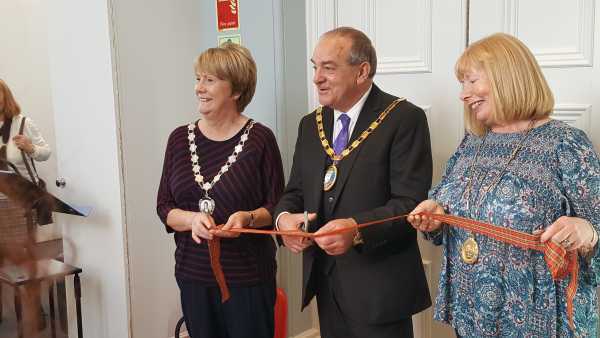 Remember the exhibition is on until 18th October and is open Monday to Saturday 10am until 4pm with a late opening on Tuesdays 6-8pm. Come along and enjoy its beauty and its tales! The Clipper Adelaide which has returned to its eponymous City in Australia was found for restoration and that journey to South Australia at Irvine! The clipper City of Adelaide played a key role in Australia’s story, making 23 voyages between 1864 and 1887. She would carry immigrants, including many from Scotland, to South Australia and return with copper, wool, wine and wheat. It is thought around 240,000 Australians are descended from the City of Adelaide’s passengers. Later commissioned into the Royal Navy, the ship was renamed HMS Carrick and from 19231989 became a landmark on the Clyde before being moved to Irvine by the Scottish Maritime Museum. In 2014, with its name restored, the City of Adelaide was transported to Australia to become a museum ship.